Hatton 72-inch W 3-Drawer 4-Door Vanity in Brown With Marble Top in White, Double Basins If you want a vanity that is both stylish and useful, this traditional vanity is perfect. The good-looking white marble counter and brown solid wood base make a big difference in your bathroom. This simple vanity set from Wyndham Collection will fit right into any bathroom decor. 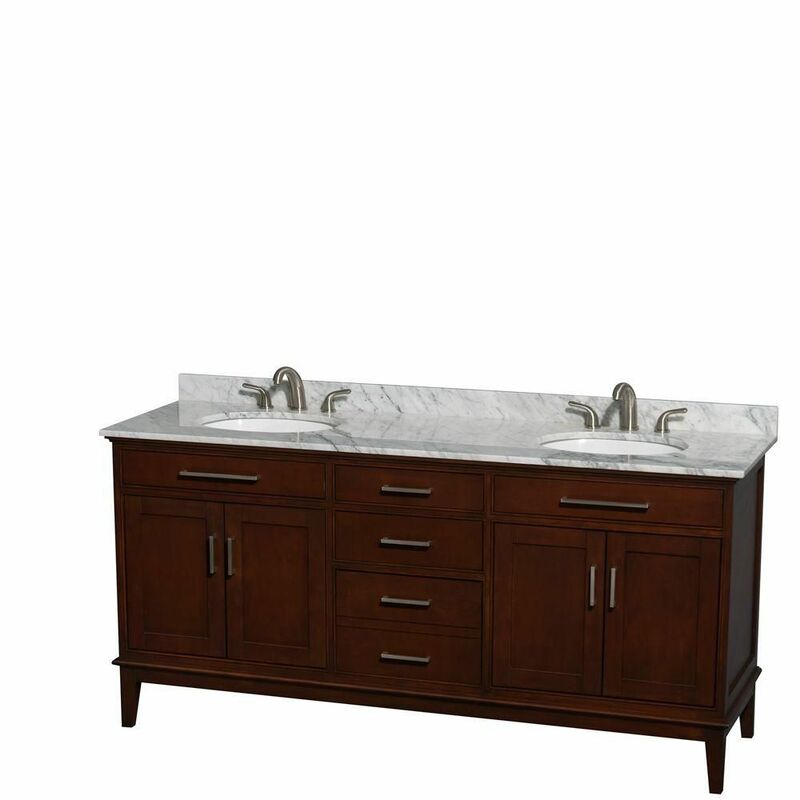 Hatton 72-inch W 3-Drawer 4-Door Vanity in Brown With Marble Top in White, Double Basins is rated 5.0 out of 5 by 1. Rated 5 out of 5 by GeorgiaReno from Unit arrived in great shape after being shipped from California... Unit arrived in great shape after being shipped from California to Georgia. Delivery was fast and it was delivered one time based on estimated delivery date. It is a beautiful, heavy piece and looks awesome. The only small complaint is that all hardware is covered for protection in such a manner that the hardware had to be loosened to get the plastic covering off.